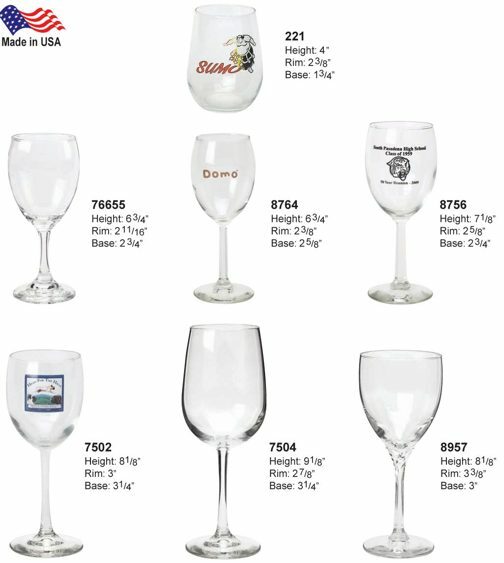 Wholesale Custom Decorated Wine glasses in many sizes. Lowest prices in the USA and Canada for wholesale decorated wine glasses. Free artwork design. American clients pay no taxes. Please see the Price Table below the picture.